What is a Ventilator Alarm? 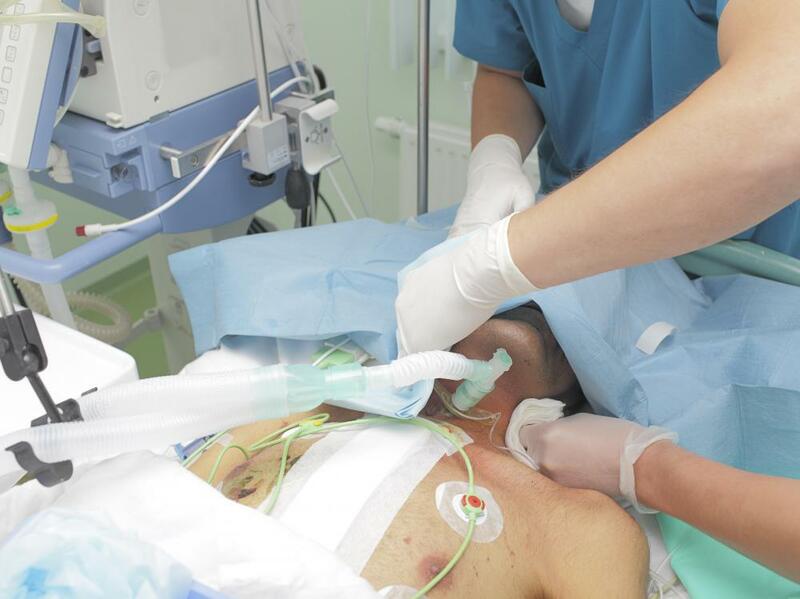 In some cases, manual ventilation may be necessary to ensure a patient receives adequate oxygen. Medical equipment used in intensive care units is often equipped with very sensitive alarms to alert the nurses to any change in the patient's condition. 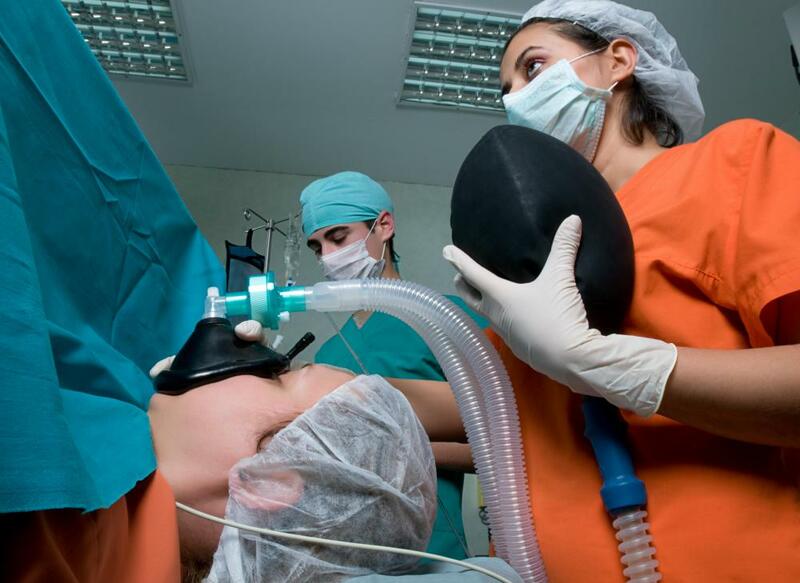 Artificial ventilation is commonly used during and after heart procedures and other major surgeries. A ventilator alarm is a warning indicating that something about a ventilator is not functioning properly and a patient may not be receiving adequate respiratory support. A ventilator alarm is a warning indicating that something about a ventilator is not functioning properly and a patient may not be receiving adequate respiratory support. Alarms can sound for a wide variety of reasons, and each ventilator manufacturer has its own alarm codes and warnings. When an alarm sounds, people can manually clear the alarm, but they also need to determine why it was going off and address the problem. New health care providers sometimes find ventilator alarms intimidating and it is advisable to ask for assistance while learning how to use ventilators and care for patients on ventilators. 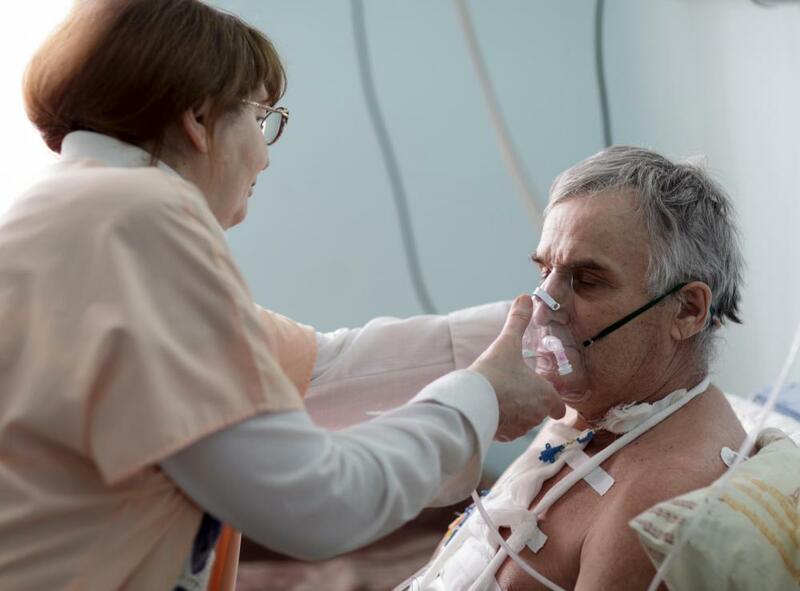 Mechanical ventilation is used for patients who cannot breathe independently or who have compromised airways and could have difficulty breathing. The ventilator delivers carefully mixed and pressurized air to a tube inserted into the patient's lungs. Problems with ventilators can include kinked tubing, too much pressure, inadequate pressure, decreased respiration, low volume, and a number of other issues. Most equipment will err on the side of caution and sound a ventilator alarm in any case where something appears to be going wrong, no matter how minor. The ventilator alarm is usually loud and the tone may be annoying, designed to attract the attention of a health care provider. Lights may illuminate as well to make the problem evident, and an alarm code will flash on the control panel of the ventilator to provide information about the nature of the problem. A button can be pressed to turn the ventilator alarm off, allowing a health care provider to concentrate while addressing the problem. Care facilities with telemetry, where signals are sent remotely to a nursing station, will trigger alarms at the nursing station, as well as the bedside. Nurses can review the information provided by the ventilator alarm and go to the patient to address the issue with the ventilator. Telemetry can also provide feedback from other medical devices being used with a patient, allowing nurses to identify problems with patients very quickly. Some ventilator models are very touchy and may sound alarms where there isn't a problem or when an issue is within the tolerances of the patient and the ventilator. As a result, sometimes a nurse will turn off the alarm and take no additional action, which may be disturbing to patients and family members. 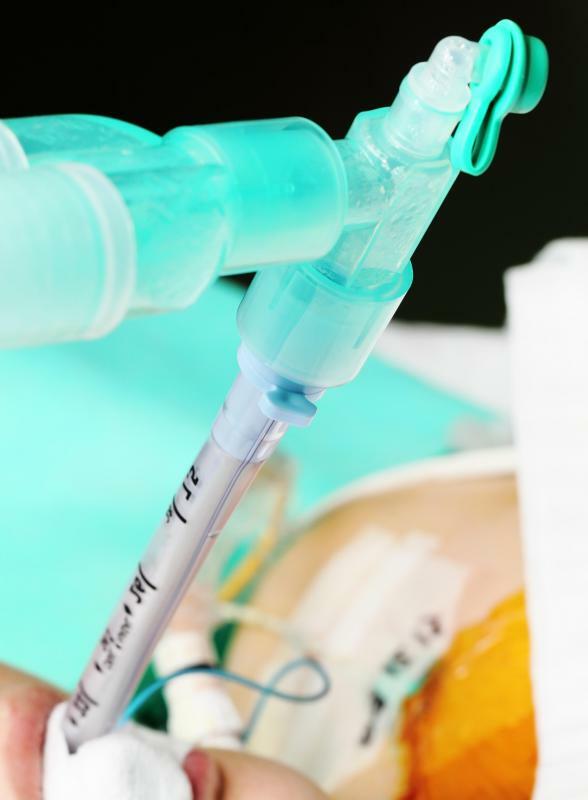 Medical equipment used in intensive care units is often equipped with very sensitive alarm systems, and while the noises made by the equipment can sound urgent, they may reflect relatively minor issues. Nurses are expected to learn the alarm codes so they can quickly determine what a problem is and decide on the appropriate action to take. What Are the Different Types of ICU Equipment? What is a Portable Ventilator? How do I Care for a Patient on a Ventilator? What is a Neonatal Ventilator? What is a Pediatric Ventilator? What is a Transport Ventilator? What is an Infant Ventilator?